After the success of Rugby 7s at the Olympics it was a pleasure to see the return of the London 10s Cup sponsored by Attic Self Storage last weekend. The day started off sunny enough. Over 150 people descended on HRFCs home turf, Spring Hill, to watch teams from Hampstead, London French, London Japanese and Woodford join the Hackney teams in competition for the Attic Storage Cup. 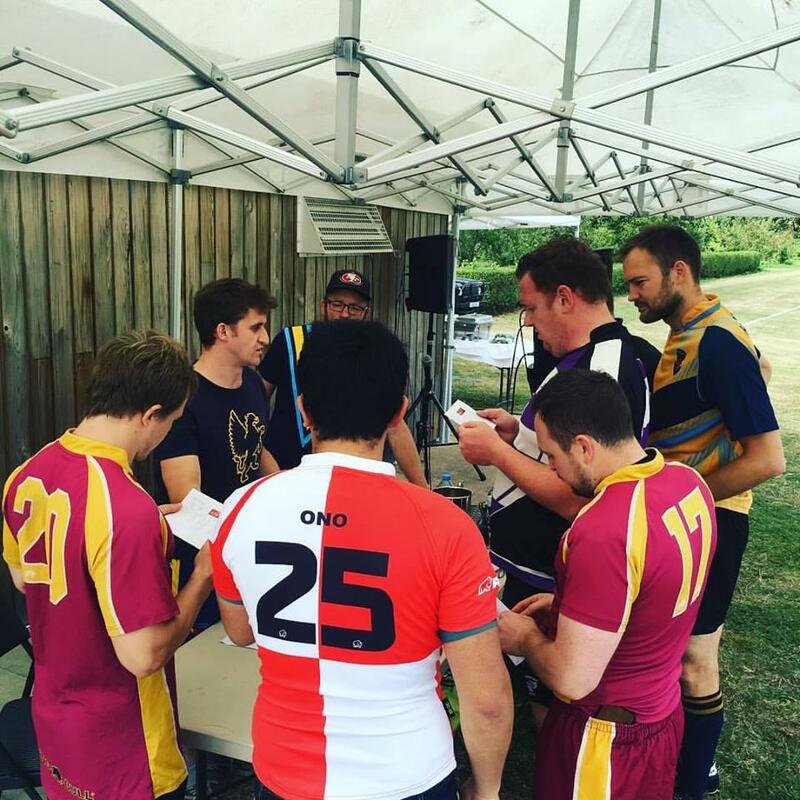 10-a-side rugby with 10-minute halves and 7s rules. Fast and furious stuff. Now, apologies for all the name-dropping here, but I’ve always believed in giving credit where it’s due. Whether that’s to my front of house team at Attic Self Storage, or to the back of the scrum players at the rugby club we sponsor. The tournament opened in glorious sunshine and Hackney team 2 winning against Hampstead 2nds. Guy Watmore and Sam Wilkinson were among the scorers as skipper Johnny Crockett and his team made the most of the fair weather early on in the day. Men’s rugby wasn’t the only thing on the agenda as the Hackney Ladies played their first fixture of the season against Harlow in a friendly – a 15-a-side match played over 4 x 20 minute quarters. With tries from Geraldine McGrogarthy and Alice Smith, and a conversion from Alex Snider, Hackney led by 10 points at half time. After a longer than usual break, watching Hackney men’s 1st team demolish Hampstead 2nds thanks to strong running from Ollay Kazeem & Will Burrows, the Ladies returned to increase their advantage with perhaps the try of the day scored by Ella Harte after a magnificent length of the field team move. An encouraging performance ahead of next week’s league season kick off with a thoroughly impressive debut from fly half Justine Despins. The final pool matches saw Hackney’s Men’s Team 1 and 2, who were unbeaten at that point, sadly failing in their bid to reach the final, while team 3 lost in a close encounter to a skillful looking young Hampstead 1st team. Consolation could be found for captain Ben Chamberlain who claimed his first victory as skipper earlier on in the competition after nearly 10 years at the club. As the rain began in earnest, the final kicked off and a powerful London French side took an early lead that was increased when a Hampstead player was sin-binned. Naughty, naughty. The deteriorating weather conditions couldn’t dampen the high standard of rugby which had been evident throughout the day but moved up a gear for the last game. A Hampstead fight back through their speedy backs set up a breathless, muddy finish but London French hung on to lift the Attic Storage cup. Or The London 10s Attic Self Storage Cup to give it its official title. This is my blog after all! Alongside the main rugby there were passing and kicking challenges, a barbeque, and regardless of the rain, it was probably the largest scale event that HRFC have held at their new clubhouse so far. Congratulations to London French and a big well done to all the volunteers who helped set-up, run the day’s activities and clear up afterwards. And let’s not forget the next generation of players that events like this help to inspire and the great coaching sessions that HRFC offer them. The very next morning The Hackney Bulls held their registration day. Which means junior rugby for boys and girls of all ages will take place every Sunday for the rest of the season from 10am till 12 at Spring Hill.